Individual Retirement Accounts (IRAs) are designed to help you save for life after retirement. At Gulf Coast Educators FCU, we offer a variety of options, including our Standard IRA, Premium Market IRA, and Education IRA (Coverdell ESA), all of which can be opened online at your convenience. Learn about your retirement options below, or feel free to give us a call if you have any questions. Our Premium Market IRA offers members a high yield retirement option, without any risk. Choose from a Traditional or Roth Standard IRA account to begin saving for retirement. Our Education IRA is a Coverdell ESA that allows you to withdraw funds, tax-free, when it’s time to pay for college. Deposits & Withdrawals: Deposits and withdrawals are permitted according to IRS regulations and subject to IRS penalties. Early withdrawal penalties do not apply to withdrawals made after the death of any owner of the account. All of our IRA accounts are tax-privileged savings plans that allows you to save for retirement without the risk of market volatility. Our IRAs are completely safe, secure, & insured – you won’t lose any money. Choose from opening a Traditional or Roth IRA. Great option for rolling over your 401k or 403b from a previous job. Make contributions any time you would like via online banking. Open your IRA online, and we can send you all of the forms to sign electronically. Simply choose from our Premium Market IRA, Standard IRA, or Coverdell Education Savings Account. With an IRA from GCEFCU, you can make contributions any time you like via online banking. Simply move the money over by transferring it from another GCEFCU account. Your IRA contribution limit does not apply to rollover contributions or qualified reservist repayments (such as natural disasters). For full details on IRA contribution limits, please click here. Distributions are withdrawals taken from your IRA. Your GCEFCU IRA is designed for retirement use; therefore, there are strict rules for withdrawals on this account. Distributions cannot be taken until the owner is 59 ½ years old. Individuals must begin taking IRA distributions once they reach the age of 70 ½. There is no required age that individuals must begin taking funds out. For full details on distributing funds from your IRA, please click here. In most cases, an individual will be taxed on 10% of their distribution if the money is withdrawn prior to age 59 ½. There are a few exceptions to the rule, though. An individual can take out up to $10,000 if used for any of the following purposes, and must be used within 120 of the withdrawal. Payment of unreimbursed medical expenses based on the AGI (>7.5% AGI; after 2012, 10% if under age 65). Rate information. The Dividend Rate and Annual Percentage Yield on your accounts are set forth above. The Annual Percentage Yield is a percentage rate that reflects the total amount of dividends to be paid on an account based on the dividend rate and the frequency of compounding for an annual period. The Dividend Rate and Annual Percentage Yield may change monthly as determined by the Credit Union’s Board of Directors. A withdrawal will reduce earnings. Compounding and Crediting. Dividends will be compounded and credited as set forth above. The Dividend Period for each account is set forth above. The Dividend Period begins on the first calendar day of the Dividend Period and ends on the last calendar day of the Dividend Period. Balance information. The minimum balance required to open each account is set forth above. Dividends are Calculated by the Daily Balance method which applies a periodic rate to the balance in the account each day. Accrual of Dividends. Dividends will begin to accrue on cash deposits on the business day you make the deposit to your term account. Dividends will begin to accrue on noncash deposits (e.g. checks) on the business day you make the deposit to your account. If you close your account before accrued dividends are credited, accrued but unpaid dividends will be paid on term share certificates; accrued but unpaid dividends for all other accounts will not be paid if you close the account before accrued dividends are credited. Transaction Limitations except for checking transactions. During any statement period, you may not make more than six withdrawals or transfers to another credit union account of yours or to a third party by means of a preauthorized or automatic transfer or telephonic order of instruction. No more than three of the six transfers may be made by check, draft, debit card, if applicable, or similar order to a third party. If you exceed the transfer limitations set forth above in any statement period, your account may be subject to closure by the credit union. If you are an educator, changing jobs means you must decide what to do with the money in your 403b retirement account. Leaving the money in an old 403b may not be the best option since it is not growing and there will be no new contributions. Withdrawing the money makes it taxable income and Uncle Sam wants his fair share. Although many employers offer 401k and other retirement options, it’s a good idea to set aside personal funds as well to ensure you can enjoy retirement the way you want to. A great place to start is to invest in an IRA (or Individual Retirement Account). Is a Rollover Right for You? Deciding what to do with retirement funds can be a tricky business. Whether you are changing jobs or it is time to make a decision on what to do with a maturing IRA, understanding your options is the best way to ensure you are making the right decision. Whether you are close to retirement age, or just starting out in your career, having a strong retirement plan is essential to a financially-stable retirement. Let’s review a few key strategies to get your started. Is It Too Late to Begin My Retirement Fund? Many people, for one reason or another, have put off planning and saving for retirement until retirement age is just around the corner. Getting a late start with your retirement fund doesn’t exclude you from participation, but it may require you to do a little extra to enjoy the retirement you have always dreamed about. Is a Roth IRA the Right Choice for You? A Roth IRA is a special type of retirement account where you pay taxes on what you contribute to the account, and then all future withdrawals are tax-free. Investment advisors usually tell their clients that a Roth IRA is designed to benefit younger people — but a Roth IRA can be a good choice for people of all ages. 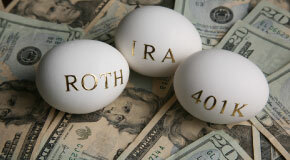 Consider the following to see whether a Roth IRA is right for you.